As we go back to the ancient history on the Battle of Thermopylae in 480 BC which was fought between Persian Empire of Xerxes I and Greek city states by King Leonidas of Sparta we get to know more on what took place many years ago. The Persian army under Xerxes I moved southward through Greece on the eastern coast parallel to the shore, along with the Persian navy. In order to reach the destination at Attica, which was controlled by the city state of Athens, the Persians had to go through the coastal pass at Thermopylae or better known as Hot Gates due to its nearby sulfur springs which were located there. The pass of Thermopylae comprising of a track along the shore of the Malian Gulf seemed to be so narrow which permitted only a chariot to pass through while on the southern side stood the cliffs which overlooked the pass. Towards the north was the Malian Gulf while along the path stood a series of three constrictions or gates and at the centre gate, a wall probably erected by the Phocians in the earlier century, to defend against the invasion of the Thessalian. Leonidas led his army of 6,000 to 7,000 Greeks from various city states, in the late summer of 480 BC, including 300 Spartans in order to prevent the Persians from going through Thermopylae. With the expectation that the narrow pass would block the Persian army towards his own force, Leonidas established his army at Thermopylae and for two days, the Greeks withstood the attack against their outnumbered opponents. At first, Leonidas, plans worked well for him, since he was unaware that there was another route over the mountains to the west of Thermopylae which the enemies could use to bypass his fortified position along the coast. This was known to Xerxes through a local Greek which helped the army to cross it thereby enabling them to surround the Greeks where most of the Greek force, choose to withdraw rather than face the Persian army. 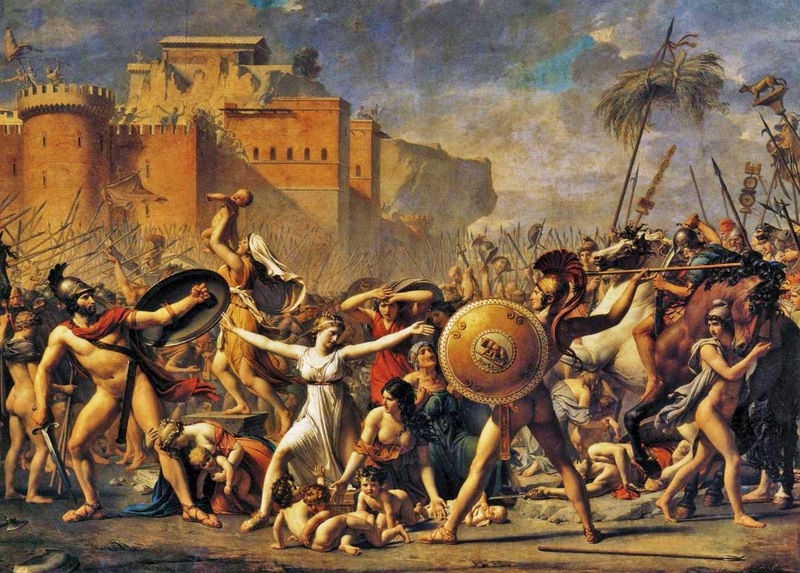 With an army of Thespians, Thebans and Spartans remained to fight the Persian, Leonidas along with the 300 Spartans were all killed while the others remained as allies. The Persian fought and beheaded Leonidas, an act considered being a grave insult. 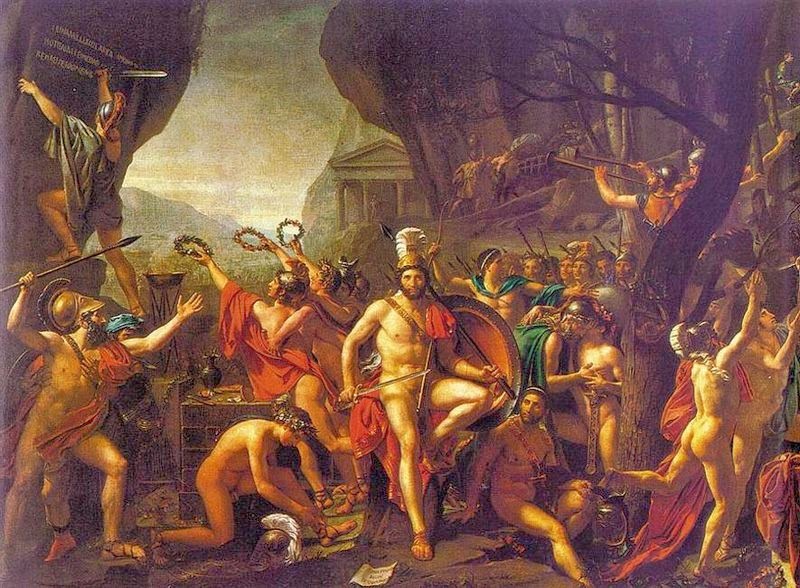 Leonidas on his part received lasting fame for his personal sacrifice where hero cults were an established customs from the eighth century BC in ancient Greece. Dead heroes were worshiped and given high honor near their burial place. After the battle, forty years later, the Spartans retrieved Leonidas’s remain and built a shrine in his honor. Ancient and modern writers consider the Battle of Thermopylae a source of power of a patriotic army striving to defend their land, where the defenders have portrayed courage against various odd faced by them. Divulging in the history mystery on various incidents in ancient times throws some insight on the people living in the ancient world. 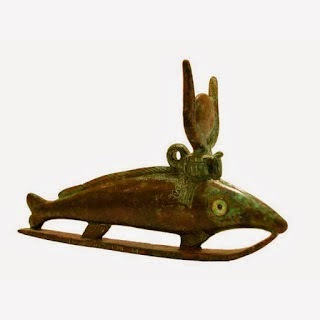 Elixir of knowledge provides interesting information on ancient living and the people belonging to those ancient times. 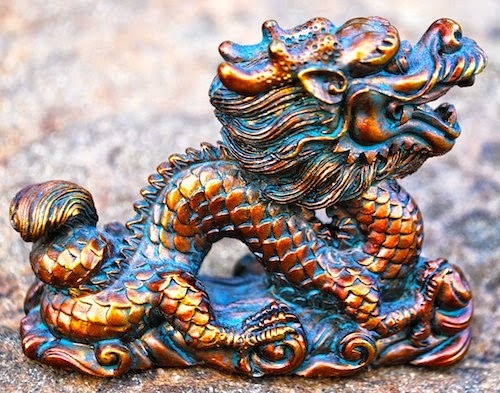 Dragons deeply rooted in Chinese culture first appeared during the Yin and Shang dynasties and Chinese mythology is rich with its artwork, depictions and tales of dragons which are benevolent, associated with blessing and abundance. The Ancient Chinese Dragon has an important position in the mythology of China which is seen in its literature, poetry, architecture, songs and various aspects of Chinese history. The first dragon appeared to Emperor Fu-his who filled the hole in the sky caused by Kung Kung, the monster and its every movement of waking, sleeping and breathing determined the season and weather, day and night. The Chinese dragon comprises of nine entities namely the head of camel, eyes of a demon, the ears of a cow, horns of a stag, with neck of a snake, its belly of a clam, the claws of an eagle, with the soles of its feet that of a tiger and the 117 scales which cover the body, that of a carp. The Chinese dragon has standard four claws while the Imperial dragon has five which helps to identify it above the lesser classes and anyone other than the emperor using the five claws motif had to face death for doing so. Throughout the Chinese history, the dragon was related to the weather and it is believed that some of the worst floods which took place were due to mortals upsetting the dragon and the Chinese dragon Lung was considered as a divine element of rain. Chinese dragons of myth were of the belief that they could make themselves huge as the universe or even miniature like the silkworm with capabilities to rise to the skies during springtime as well as plunge into the waters during autumn time, with the ability to change color and also disappear in a moment. 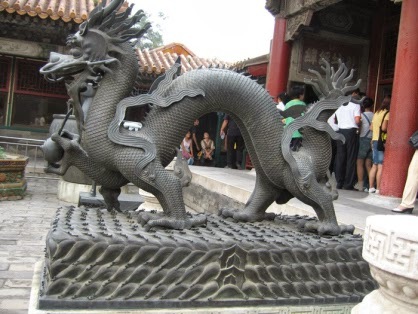 Dragons were also a symbol of the emperor assuring the well being of the people with its wisdom and divine power with many legends bridging the connection between the emperor and the dragon. Some also believed that the emperors were the descendants of the dragons and according to a legend; the Dragon had nine sons each with a strong personality namely Haoxian, a reckless and an adventurous dragon, an image which is found decorating the eaves of palaces. Yazi Valiant whose image is seen on sword hilts and knife hilts, Chiwen Chiwen who prefers to gaze into his appearance and the distance, is carved often on pinnacles, Baxia Baxia, a good swimmer has his image decorating many bridge piers and archways, Pulao Pulao who is fond of roaring, has his figure carved on bells, Bixi Bixi an excellent pack animal with its image appearing on panniers, while Qiuniu Qiuniu who loves music has its figure on the bridge of stringed musical instruments. Suanmi Suanmi who favors smoke and fire, the likeness of which can be seen on legs of incense burners,, Jiaotu Jiaotu who is tight lipped such as a snail or a mussel has his image carved on doors, especially, a popular tourist site in Beijing known as the Nine Dragon Wall in BaiHai Park where the colors of the ceramic tiles in spite of them being ancient, are as brilliant as ever. Oxyrhynchus, ancient Egypt, known in the Dynastic period as Per Medjed is a city in Upper Egypt, around 160 km southwest of Cairo, in the governorate of Al Minya, which rose to prominence under Egypt’s Hellenistic and Roman rulers. 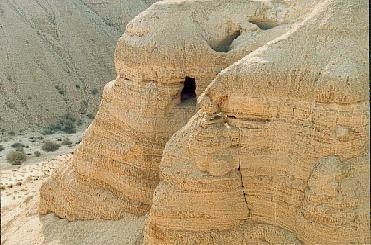 It was considered as one of the most important discovered archaeological site. During the Hellenistic times, this city was a prosperous regional capital and the third city of Egypt as well as the home town of the sophist Athenaeus. It became famous for its various churches and monasteries after Egypt was Christianized and presently the village of al Bahnasa covers part of this ancient site. After the invasion of the Arab of Egypt in 641, the canal system was in need of repairs and was abandoned. The inhabitants of this city for over 1,000 years had been dumping garbage at various points of sites in the desert sands beyond the town limits and the town was built on a canal instead of the Nile itself which saved the city from getting flooded every year with the rising of the river unlike the other districts surrounding the riverbank. When the canals got dried up the water level fell and did not rise again. The west area of the Nile did not receive any rain and hence the garbage dump of Oxyrhynchus got gradually covered up with sand and was forgotten over the years. Since the Egyptian were governed bureaucratically under the Romans and Greeks and being the capital of the 19th Nome, all the material were dumped, which included huge amount of paper, tax returns, accounts, invoices, receipts, census material, correspondence on administrative, military, economic, religious and political issues. Besides these, certificates and licenses of all types which were periodically cleaned from government office were put in wicker baskets and discarded out in the desert. Other citizens also added their own measure of unwanted paper. Since papyrus was expensive, paper was reused often and one would find a document with farm account on one side and a student’s text of Homer on the other side. Hence an Oxyrhynchus Papyri often contained complete record of the life of the people of the town, its civilization and the empires. Over the past year, this site has been repeatedly excavated bringing about huge amount of collection of papyrus text dating way back to the Ptolemaic and Roman periods of Egyptian history. From the discoveries of text recovered at Oxyrhynchus, there are plays of Menander, some fragments from the Gospel of Thomas and from Euclid’s Elements. The town city of Oxyrhynchus itself had not been excavated since the modern Egyptian town was built over it though it is believed that the city had various public buildings which included a theatre having a capacity of around 11,000 audience, a hippodrome, four public baths together with gymnasium as well as two small ports on the Bahr Yussef. There was also a possibility of military buildings like barracks since the city supported military garrison on various occasions during the Byzantine and Roman periods. Moreover during the Roman and Greeks period, Oxyrhynchus also had temples to Zeus Amun, Hera Isis, Atargatis Bethnnis and Osiris. They also had Greek temples to Apollo, Demeter, Dionyss and Hermes together with Roman temples to Mars and Jupiter Capitolinus. With regards to Christian era, Oxyrhynchus was the seat of a bishopric where the modern towns still have some ancient Coptic Christian churches. Towards 1882, while Egypt was still part of the Ottoman Empire and under the British rule, the British archaeologist started a systematic exploration of this country and since it was not considered as an important ancient Egyptian site, it was neglected till 1896. It was then explored by two young excavators, Bernard Grenfell and Arthur Hunt, of Queen’s College of Oxford. Their first impression of the site was not favorable where the rubbish mounds seemed rubbish to them though they soon realized the importance of their discoveries. With the combination of climate and circumstances, Oxyrhynchus had an unmatched archive of the ancient world and the findings of papyri soon multiplied in great number. These findings inspired them further to sift through the mountain of rubbish where their efforts were rewarded since they were interested in the possibility of finding the lost masterpieces of classical Greek literature at Oxyrhynchus. Their discoveries were estimated to over 70% of all the literary papyri with both copies of well know standard works, together with previously unknown works of great authors of antiquity. From the various papyri excavated, only around 10% were known to be literary and the rest consisted of public and private documents, edicts, registers, codes and much more. They found sufficient text of more general interest which kept them going with the hope of retrieving more discoveries. During their first year of excavation, they recovered parts of several lost plays of Sophocles namely Ichneutae besides many other books and fragments including parts of unknown Christian gospel. All these discoveries drew the attention of people’s imagination and the two excavators sent articles together with photos to newspapers in Britain indicating the importance of their work with a request for donation to keep the same going. 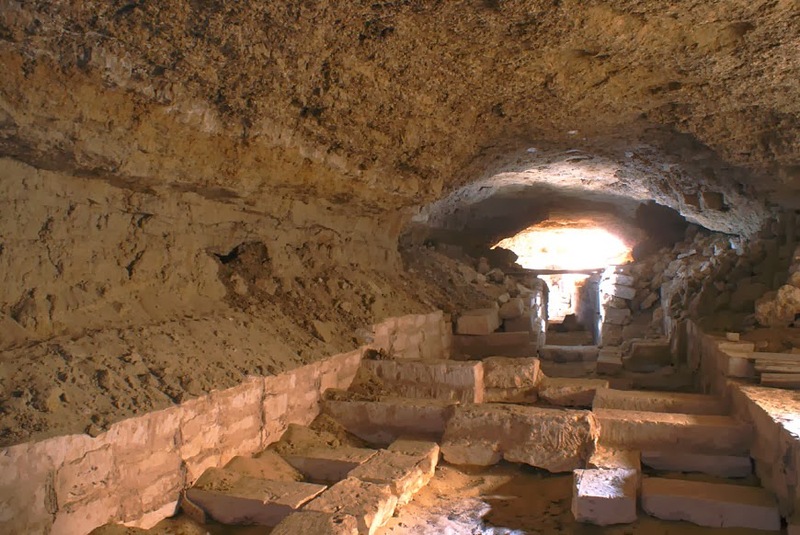 A town known as Nag Hammadi in northern Egypt had a collection of ancient writing which was discovered in 1945 and these collections have been titled as the Nag Hammadi library, the vast findings of which represented the writings known as Christian Gnosticism. Nag Hammadi also known as Chenoboskion and in classical antiquity meaning geese grazing grounds, was located on the west bank of the Nile in Qena Governorate around 80 kilometers, North West of Luxor. It had a population of about 30,000 inhabitants most of whom were farmers and they produced sugar and aluminum. The Nag Hammadi Library is a collection of ancient Gnostic text containing over fifty text discovered in Upper Egypt. It is often considered as an example of the lost books of the Bible and according to some theory; the early Christians had made attempts to destroy these scripts since they contained the secret teaching about Jesus and Christianity. Moreover it was considered to be the result of the dedicated efforts of the Gnostic monks to save the truth about Jesus Christ from the persecution of non Gnostic Christians. The Nag Hammadi script was written on papyrus in the form of codex, which could be opened flat and written from front as well as the back page and was not rolled into a scroll. This important discovery was found in the form of twelve leather bound papyrus codices which were buried in a sealed jar and found by a local farmer by the name Mohammed al-Samman. It included a vast number of primary Gnostic Gospels scripts which were once thought to be destroyed during the struggle of the early Christians to define orthodoxy scriptures like the Gospel of Thomas, Philip and the Gospel of Truth. The text in these codices contained fifty two major Gnostic treatises though they also included three works belonging to the Corpus Hermeticum with partial translation alteration of Plato’s Republic. The codices were written in Coptic language and the works were translated from Greek and the best known is probably the Gospel of Thomas where the Nag Hammadi codices have the complete text. Presently, the Nag Hammadi codices are in the custody of the Coptic Museum in Cairo, Egypt. 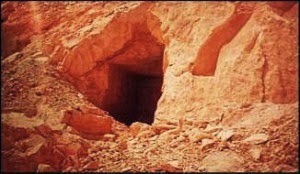 The discovery of Nag Hammadi library has been narrated as an exciting expedition as the contents itself. In the same year in December, two Egyptian brothers found several papyri in large earthenware vessels while digging around the Jabal al-Tarif caves near modern Hamra Dom in Upper Egypt. 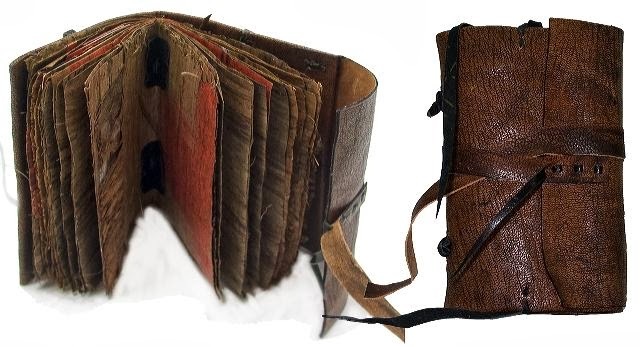 Their discovery was not reported immediately since they were keen on selling the manuscripts individually at intervals and make some money but their mother worried over this issue and thinking that these manuscripts would have dangerous effect, burned several of them. The knowledge of the Nag Hammadi library became gradually known and its significance was only acknowledged sometime after its initial discovery. Towards the year 1946, the brothers got involved in some disagreement and left the manuscripts with a Coptic priest where his brother-in-law, sold a codes to the Coptic Museum in October. The significance of the artifact drew the attention of the resident Coptologist and the religious historian, Jean Doresse and they got the first reference published in 1948. All through the years, majority of the tracts got transferred by the priest to a Cypriot antiques dealer in Cairo after which it was retained by the Department of Antiquities, to safeguard them from being sold out of the country. The scripts, was then handed over to the Coptic Museum in Cairo after the revolution in 1952 and was then declared as national property. Moreover, the director of the Coptic Museum, Pahor Labib, was also very keen in keeping the manuscripts in the country of its origin. A single codex in the meanwhile had been sold to a Belgian antique dealer in Cairo after which an attempt was made to sell the same in New York as well as Paris and finally in 1951, the same was in the custody of Carl Gustav Jung Institute in Zurich through the mediation of Gilles Quispel and was intended as a birthday present to the psychologist and hence the codex was known as the Jung Codex, named Codex I in the collection. In 1961, after Jung’s death, a quarrel took place over the ownership of the Jung Codex and the pages were not handed over to the Coptic Museum in Cairo, till 1975 after the first edition of the text was published. The discoveries of these papyri were finally brought together in Cairo, with eleven complete books and fragments of two others, all amounting to over 1000 written pages which are preserved there. While the Nag Hammadi library was an interesting discovery, its scripts have given us some insight about the early heretic which were taught and practiced during that period. The legendary founder of the Japanese religion, Shugendo when translated means `path of training to achieve spiritual powers’, which is an important Kami Buddha combination sect that blends pre Buddhist mountain worship known as Kannabi Shinko. Their practitioners are known by various names such as Shugenja, Shugyosha, Keza and Yamabushi and these terms are translated into English as ascetic monk or mountain priest. As a rule, this sect emphasizes on physical endurance as a path to enlightenment where the practitioners perform fasting, seclusion meditation, recite sutras, magical spells and also engage themselves in feats of endurance like standing or sitting under cold mountain waterfalls or in snow. The devotees also have a particular practice of setting up wood or stones markers leaving a trail of their mystical journey up the mountain. They also need to follow a procedure on entering into any sacred mountain space, where each stage consists of a specific mudra, a hand gesture with religious meaning, mantra, a sacred verbal incantation and waka which is a classical Japanese poem. The honored sage of this sect is En no Gyoja who is also known as En no Ozunu, Ozuno, En no Shokaku and En no Ubasoku where Gyoja means ascetic and En no Gyoja means En the Ascetic. Ubasoku according to the Japanese form of Sanskrit upasaka means an adult male lay practitioner or a devotee or a Buddhist layman who is recognized as a father of Shugendo. He is given the title of Shinben Dabosatu which means Miraculous Great Bodhisattva which was bestowed in 1799 to him by the Emperor Kokaku during his reign in 1771 – 1840. En no Gyoja was born in 634 and is honored as a mountain saint and a bodhisattva with several supernatural powers attributed to him. This holy man was a mountain ascetic during the 7th century and like most of the Shinto Buddhist syncretism, his legend is a puzzle with folklore. As per the Nihon Ryoiki, En no Gyoja was born in Katsuragi Mountains of Nara Prefecture, hailing from the Kamo clan, the family of Kamo-no-E-no-Kimi and his clan had lived for many years in the mountainous regions for generation which was a verdant region with a variety of medicinal plants. It is believed that he gained wide knowledge of these medicinal plants and also maintained a garden in that area but was forced to give it up in 675 AD during which he had gained a high reputation of a healer. After his father’s death, En no Gyoja prayed that his mother would be bestowed with another child since his intention was to depart to the mountains to pursue his practice and she subsequently gave birth to a son who was named Tsukiwakamaru and he returned to the Katsuragi Mountains at the age of 32 to continue with his ascetic practice. According to the legends, he practiced under the protection of the animals living in the mountains where he discovered valuables deposits of silver and mercury in these mountains. As per Shugendo legends, in 699, he was wrongly accused by one of his jealous disciple, Karakuni no Muraji Hirotari for evil sorcery and was sent into exile to Itoshima island during the reign of Emperor Monmu. This angered him towards the god of Mt. Katsuragi also known as Hitokoto nushi no Kami and to punish the god he cast spells and confined the deity to the bottom of the valley. Hirokoto nushi in his turn showed his displeasure by possessing Hirotari who lodged a complaint in the capital which lead to him to his exile. 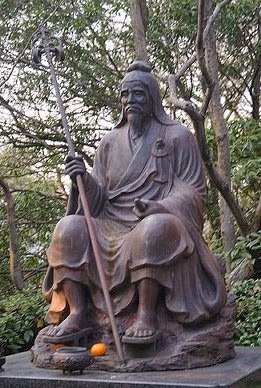 During his exile, it is believed that he changed into a mountain wizard and flew to the kingdom of Silla towards the Korean peninsula and met Dosho, a Japanese Bhuddhist monk. This monk had travelled to China in order to study Buddhism and founded Hosso secto of Nara Buddhism on his return. Though Gyoja’s great abilities remain unknown, he had made a peace treaty with Hiruzen Sarutobi during the Third Shinobi World War and had developed an unusual technique which was capable of destroying an entire village and the Third Hokage proclaimed a kinjutsu due to its power. He had two students, one named Hato who was brilliant with remarkable skills in ninjutsu while the second was his very own granddaughter Hotaru. Gyoja blamed himself for the downfall of his clan and made it his duty to restore the clan back to glory but his advanced age hindered him. Before his death, seeing how much his dream meant to him, his granddaughter begged him to seal the kinjutsu in her so that she could continue with his dream. Being skillful in fuinjutsu he devised a way to seal the clan’s kinjutsu in his granddaughter to safely remove it. Great reverence for En no Gyoja grew as mountain asceticism progressed and Shugendo religion took shape making him its founder. 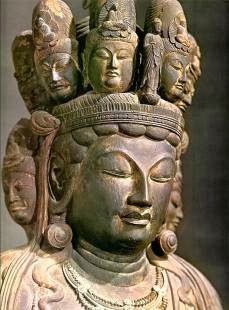 Moreover since he had visions of Zao Gongen deity, her belief also flourished along with veneration of Gyoja and he is linked to sacred mountains all over Japan. According to some, the final years of Gyoja is a mixture of uncertainty which states that he did not die in 700 but returned to Mount Katsurag when he was pardoned in 701. Here, he captured Hitokoto nushi no Kami and tied him with arrowroot vine and locked him at the bottom of the valley and sometime later returned to the Japanese mountain where he attained Nirvana or probably crossed China. Others presumed that he was released in 702 after which he either became immortal and flew away or migrated to China with his mother. It is reported that during his lifetime, he traveled widely and established Shugendo sanctuaries in various locations which included Omine mountain range, Mount Kinpusen, Mount Mino, lkoma mountains on the border of Osaka and Nara prefectures and Izu in Japan. Towards 1872, the Shugendu sect got banned as a superstitious belief and the sites became Shinto shrine, losing its heritage or branching off to either Tendai or Shingon Buddhism though Mount Haguro retained a small Buddhist presence and successfully maintained its Shugendo religion.